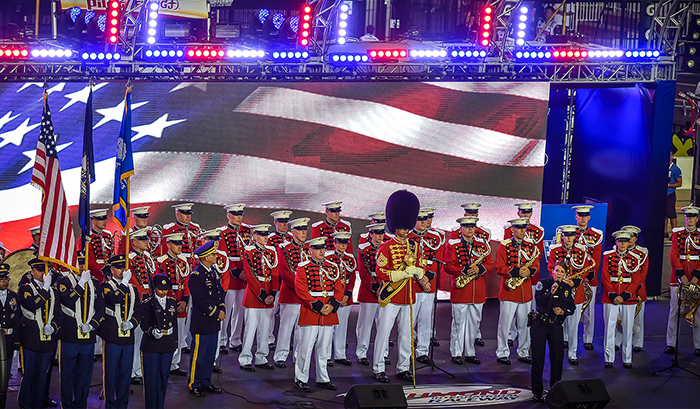 The Presidents Own, The National United States Marine Band, made their RIR debut with ONE National Anthem performance for the record books. 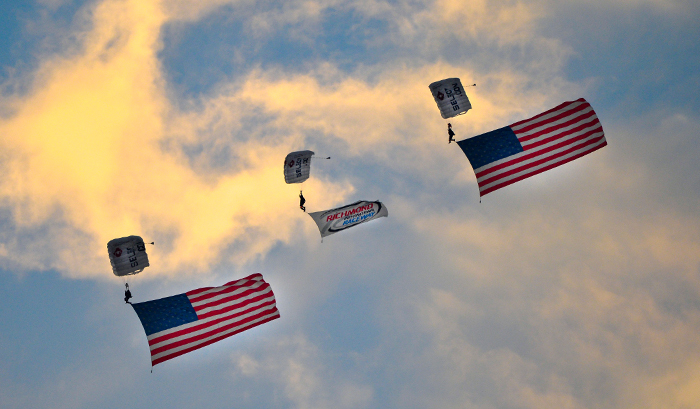 Military and service member appreciation was everywhere tonight, including the veteran jump team who flew into the RIR Infield with TWO American Flags in tow. 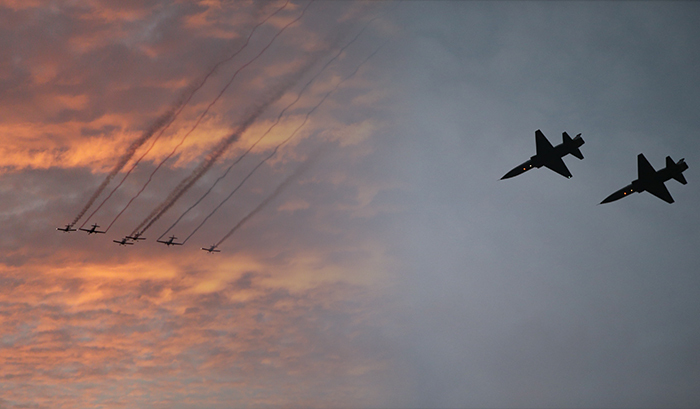 The Air Force was BACK! And their flyover during the National Anthem, combined with the passovers by the Bandit Flight Team during God Bless America and the Command, gave our Pre-Race Show THREE flyovers. 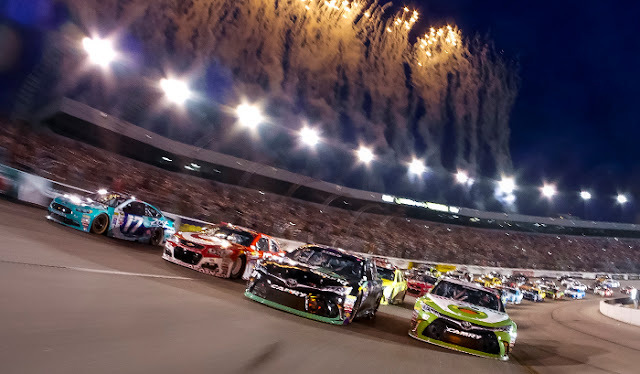 The penultimate moment for Fan Appreciation Weekend happened right before the green flag waved. The entire Sprint Cup field went FOUR-wide for the first time in Series history, saluting the fans for a fantastic 2016 season.